Ladbrokes Casino Review 7.7/10 - Claim a £50 Welome Bonus Now! Ladbrokes is easily one of the most prestigious names in gambling. It was founded all the way back in 1886 and has since gone on to become an enormously successful company, even acquiring the Coral Group in 2016. For the purposes of this review, however, we’ll be focusing exclusively on Ladbrokes’s massive casino section. We’ll investigate every important area – from promotions and game selection to website performance and security. Most importantly, in this Ladbrokes casino review, we’ll evaluate whether this might be a casino you’ll be happy with for the long haul. The interface here is highly intuitive, allowing you to access every important area within moments. Everything runs quickly, the registration process is smooth, and the games are explained clearly. Casino sites in the UK usually have a good offer, and the range of this one’s games is certainly high in both quality and quantity. There are hundreds on offer, which have been developed by the likes of Playtech and NetEnt. Easily the weakest point of Ladbrokes casino. While you can play many games for free, this doesn’t make up for the underwhelming bonuses on offer, with the welcome offer being particularly poor. You can reach out to the customer service team via live chat, phone, and even DM on Twitter. Throw in an excellent FAQ, too, and this makes a very nice customer support offering. All the major payment methods that you need to fund your account before playing Ladbrokes online games are present and correct, including credit/debit card, PayPal, Neteller and paysafecard. Minimum deposits and withdrawals are nice and low, and transactions are processed quickly. Ladbrokes has its security certificate issued by COMODO and uses 256-bit encryption. The casino also holds licences with the British Gambling Commission and the Gibraltar Gambling Commissioner. At first glance, this welcome offer, which is advertised as a £50 bonus in return for a mere £10 stake, seems to be good to be true. Unfortunately, that’s because… it is! It’s true that you only have to bet £10 to trigger the bonus at Ladbrokes casino, and you have a nice, wide range of games on which to do this. After that, you’ll automatically be credited with a £50 welcome bonus. The problem is that – in order to actually withdraw any winnings you’ve acquired using that bonus – you need to bet a whopping 40 times the bonus amount! There aren’t any other promotions good enough to make up for this disappointment. There were a couple of jackpot offers available at the time of writing, but nothing special that deserves special attention. As you might expect from a big-name casino like Ladbrokes, there is a mighty selection of games here. There are over 400 to choose from, including regular and live casino options, and a huge variety of Ladbrokes slots. Pleasingly, you can actually try the majority of these games for free, which is always a lovely bonus. Even if you don’t want to do that, you can instantly find out about each game before loading it by clicking an ‘i’ icon for more information. The majority of the software is provided by industry titans Playtech. 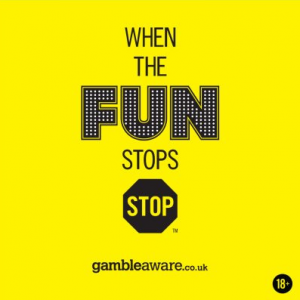 This partnership has been running since March 2013, when Playtech finished their highly successful collaboration with Ladbrokes’s rival William Hill. Since then, Playtech has delivered hundreds of high-quality games for Ladbrokes. Elsewhere, Ladbrokes have also engaged the services of several other renowned developers, including NetEnt and Microgaming. The Ladbrokes casino offer didn’t exactly blow our socks off, and unfortunately, the Ladbrokes VIP Programme isn’t good enough to compensate for them. On the plus side, you get some reasonable benefits for moving up the tiers (bronze, silver, gold and platinum), including exclusive VIP promotions for some games, a spot in prize draws, and priority customer support. The downside is that the barrier for entry is very high indeed. In order to even qualify for the bronze tier, you must deposit a hefty £1,000 every month. It’s important to note that you can still accumulate comp points (which can be exchanged for real cash) without being a VIP at Ladbrokes casino. You get one point for every £10 staked on casino games or slots, and – at the lowest account level – 100 comp points can be converted for £1. Again though, this isn’t exactly an amazing deal. The entire Ladbrokes interface is brilliantly intuitive, making the casino extremely easy to use. You can access all of the main sections – Promotions, Games, Ladbrokes Live Casino, and so on – with the simple click of a button via the top bar. Thanks to an excellent layout, finding the games you want to play is equally easy. They are intelligently sorted into Top Games and New Games, and thereafter the types of games – Slots, Jackpots, Table & Cards, etc. The site is also very well optimised. The main website loads quickly, and – while the Game Launcher isn’t quite as fast – you’re still rarely going to wait longer than 10-20 seconds on a decent wifi connection. Once you’ve loaded your game of choice, it’s easy to adjust the size of the window, with the games adapting well to the changes. If you prefer on-the-go gaming, you will be brilliantly catered for. There are Ladbrokes mobile casino apps for both Android and iOS, with the latter being particularly excellent (it had a 4.4/5 rating on the App Store, at the time of writing). Even if you don’t want to download the app, the Ladbrokes has been specifically optimised to work well on iOS, so the Apple users can enjoy the full experience. However, a bit bizarrely we must admit, the Ladbrokes casino app does not work that well on Android devices, which is something they might consider working on in the future. The registration process on Ladbrokes is quick and painless – just how we like it! Your entire registration is done in three steps, covering your basic personal information, contact details, and account details (username, password and deposit limits). After that, you’re free to start exploring the website immediately. Our Ladbrokes review also covers the casino’s international aspects. In terms of being internationally-friendly, Ladbrokes is a mixed bag. On the one hand, the website is only available in two languages – English and German. On the other, it supports residents of quite a few countries which are usually on the ‘prohibited’ list, including Australia, Belgium and Spain. Gamblers from the USA and a whole lot of other countries around the world will not be able to sign up, though. As for the customer service itself, Ladbrokes offers a nice range of contact options. You can reach the support team via live chat and phone, and you’re even invited to slide into their DMs on Twitter. In addition, there’s an intelligently-organised FAQ section with well-written articles that cover everything from signing up to the intricacies of Ladbrokes casino free spins. Ladbrokes supports a wider range of currencies than many large casinos, allowing you to make deposits in GBP, EUR, AUD, USD, NOK and NZD. Be aware, though, that once you’ve set your currency during the registration process, you can never change it again. You can make these deposits via credit or debit card, PayPal, Apple Pay, Skrill, Neteller, paysafecard, or at an actual Ladbrokes betting shop. The minimum deposit amount is either £5 or £10, depending on the method you use, with all deposits being processed instantly. The minimum Ladbrokes withdrawal amount is incredibly low – only £0.01; and withdrawals are processed either within six hours or in 1-3 days when using credit/debit card or Apple Pay. How fair are Ladbrokes games? At the base level, fairness begins with a casino’s terms and conditions, and Ladbrokes checks out in this regard. Its terms are clearly written, and they often deliberately draw your attention to the most important points. In the terms related to the welcome offer, for example, you’re told in big, bold letters to make sure you fully understand the wagering requirements before signing up to the Ladbrokes casino – something we fully support and encourage. Ladbrokes is also keen to draw your attention to how fair the games are. In fact, there’s an entire section dedicated to reassuring you that they ‘guarantee fair play at all times’. Much of this is achieved by the use of RNGs, which have been independently audited by Gaming Laboratory International. Your peace of mind should be further strengthened by Ladbrokes’s solid range of security measures. It makes use of SSL and 256-bit encryption to protect all the users’ Ladbrokes login details, holds a security certificate from COMODO, and holds valid licences with both the British Gambling Commission and the Gibraltar Gambling Commissioner. While we always like to give a balanced view, we have to say that there’s very little indeed to criticise about this casino. It’s an excellent all-round offering, let down only by the underwhelming promotions. The site is brilliantly arranged, there’s a huge selection of games, it’s highly secure, and it’s fair. At the beginning of this Ladbrokes casino review, we promised to evaluate whether this is a casino you might stick with for a long time. Our conclusion? It absolutely, definitely, unequivocally is.